Since 1919, KitchenAid has unlocked the potential of makers around the world, creating new possibilities in the kitchen. 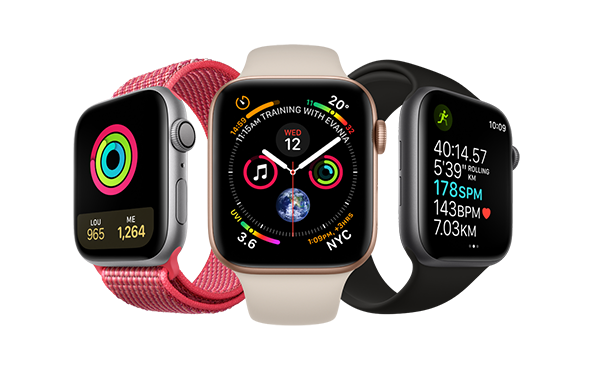 Whether you love to cook, bake, brew, or blend, you continuously inspire us to design tools so you can get the most out of the making process. 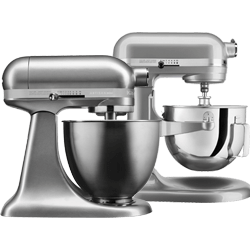 Turn your KitchenAid® Stand Mixer into the culinary centre of your kitchen. 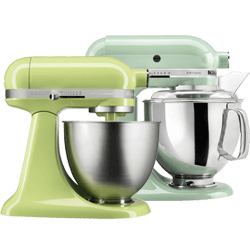 With over 14 different attachments, you can make everything from fresh pasta to burgers, veggie noodles to ice cream, and more. 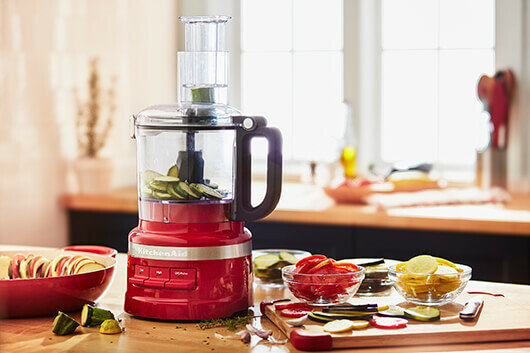 Enjoy endless fresh options to quickly chop, mix, and purée. 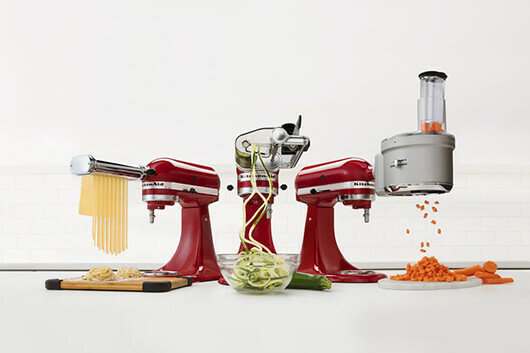 KitchenAid® Food Processors and Choppers provide the precision and control you need, whether you want to eat healthier, be more creative, or just save time on meal prep. 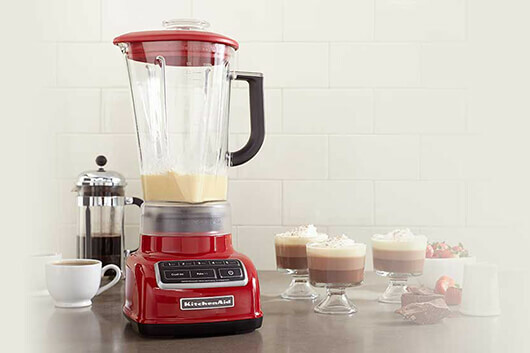 Transform any ingredient from soups and sauces to juices and smoothies with KitchenAid® Blenders. 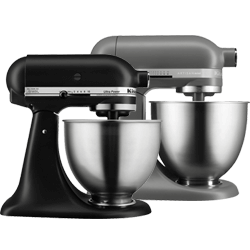 With a combination of powerful performance and reliable durability you can customize your blender to enjoy healthy recipes quickly and easily. 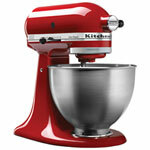 At KitchenAid, we are dedicated to celebrating the art and craftsmanship of a great cup of coffee. 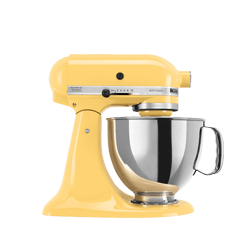 KitchenAid has developed the most comprehensive line of coffee brewers with advanced technology and exclusive designs, allowing you to prepare a personalized, delicious cup of coffee that is brewed to perfection. Brew your favourite beverages or enjoy creating your own specialty drinks. 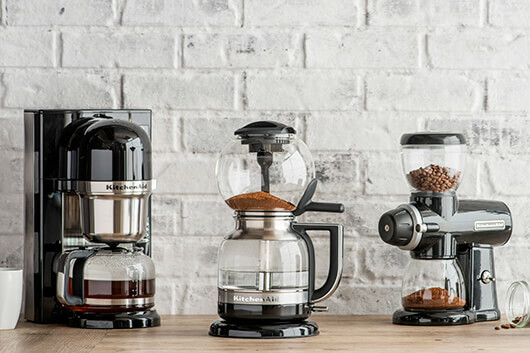 From variable temperature settings to precision pouring, there's a traditional or electric kettle to bring the café to your kitchen. 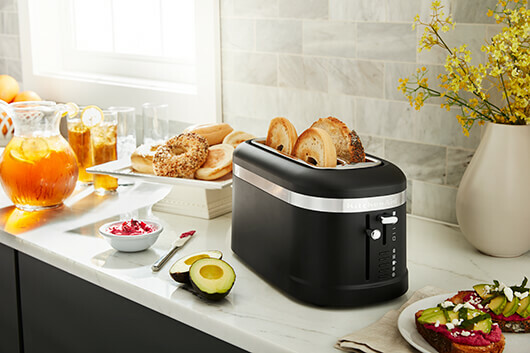 Our toasters are designed to make perfect toast with deep and wide toasting slots, smart heat sensors, and special shade control. If you're looking for more than just toast, discover a range of possibilities with our countertop ovens and create the perfect pairing from crostini to flatbread, cookies to Cornish hens. 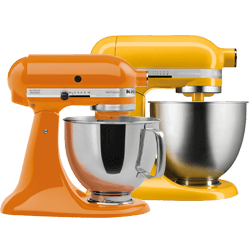 KitchenAid offers a variety of solutions for all of your kitchenware needs, and our collection of cooking equipment includes all of the essential staples. 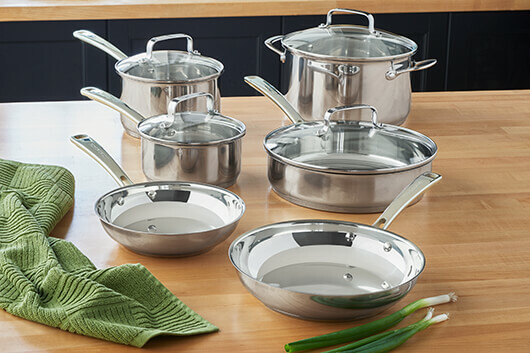 From bakeware to cutlery to pots and pans, there is a wide range of kitchenware options to choose from. 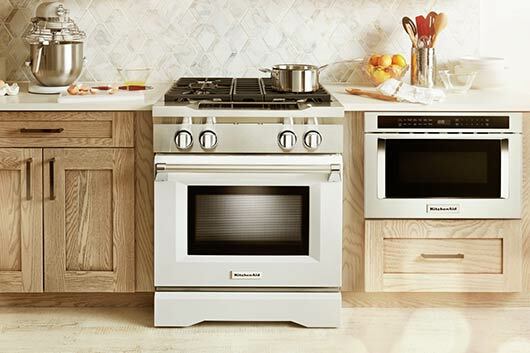 Simmer, boil, roast, or bake your way to culinary perfection with the help of a KitchenAid® Range, Wall Oven, or Cooktop. 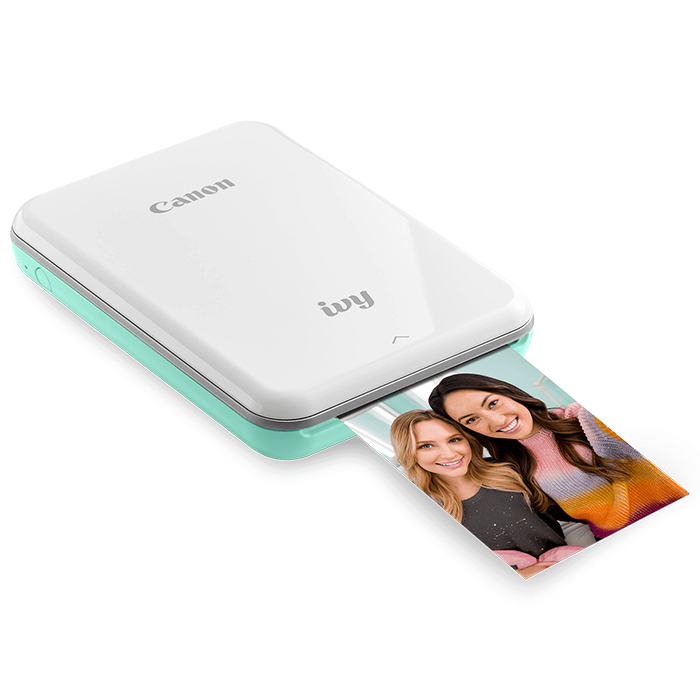 Available in a variety of designs, these appliances are packed full of useful, innovative features that'll help you create meals everyone will love. 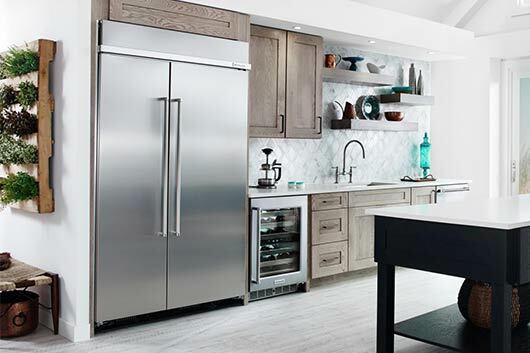 Clear the air while you're cooking with a KitchenAid® ventilation system, which can pull odours, smoke, and grease from the air so you can breathe easy. 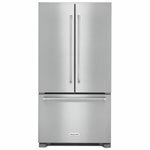 Fresh is best, especially when it comes to food, and KitchenAid® Refrigerators are designed to keep your groceries as fresh as possible. 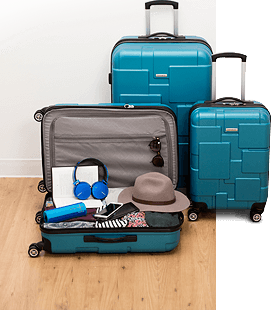 Features like crispers that maintain optimal humidity levels and temperature-controlled pantry drawers make it easy to store fresh foods for longer periods of time. Cooking is fun but cleaning up isn't. 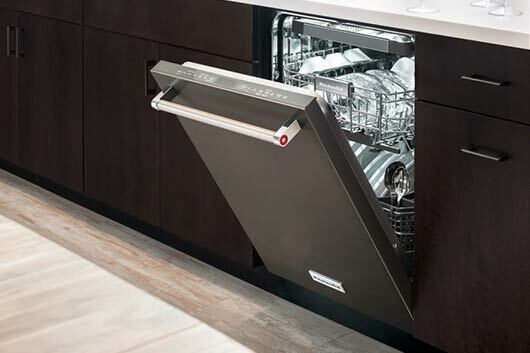 KitchenAid® Dishwashers can handle the post-cooking mess, producing sparkling clean dishes, cookware, and utensils while you focus on enjoying the meal. Since 1919 KitchenAid® has unlocked the potential of Makers around the world; creating new possibilities in the kitchen. 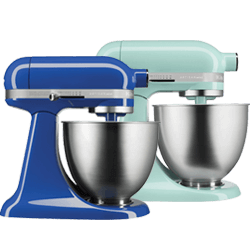 Whether you love to cook, bake, brew or blend, you continuously inspire us to design tools so you can get the most out of the making process. 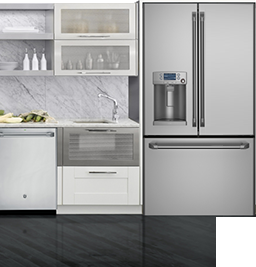 With chef-inspired design, smart features, and exceptional performance, our premium major and small appliances are designed for those who live to create in the kitchen.